CCEE Stampers: The Right One! 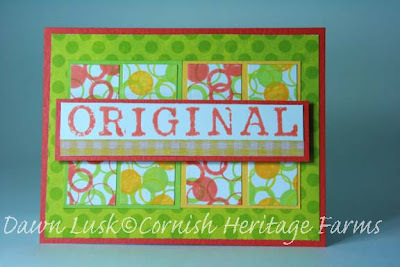 nothing fancy, kinda funky...with a sneak peek of Big Inspiration being released June 12th from Cornish Heritage Farms. I love this -- the colors are so cheery! Love the happiness of it!